With the LeoVegas No Deposit Bonus you can collect up to 50 Free Spins! You only have to sign up a free account to collect this bonus. No deposit is required. After that, LeoVegas will award you up to 50 Free Spins depending on the country you are living. For example; I am from the Netherlands and all Dutch players will receive 50 Free Spins. This while UK players will receive 20 Free Spins on sign up. Curious how much Free Spins you can collect with your LeoVegas No Deposit Bonus? Then click this link and have a look on the LeoVegas website! I decided to play my 50 Free Spins on Starburst. One of my NetEnt favourites. I only won a few euro’s which I used on some other games in the casino. When you have more luck during your free spins you can win way more. After wagering your possible winnings you can even cash it out. At LeoVegas you will need to meet a 40 times wagering requirement. After that you a free to cash out any of your winnings. Good luck and have fun with your LeoVegas No Deposit Bonus! When you like to play live casino games you can also choose to collect an alternative LeoVegas No Deposit Bonus. With this bonus you can collect a €10,- no deposit bonus. There is no deposit required to collect this bonus. After playing with this bonus you also collect a 100% deposit bonus up to €250,-. For example; When you make a €60,- deposit. LeoVegas will double it into a €120,- casino balance. With this amount you can hit the Live Casino. And after wagering your bonus money you can even cash out your winnings. Please be aware that deposits using Skrill and Neteller won’t activate this bonus. Click this link to navigate to the LeoVegas website. On this page you will see what your LeoVegas No Deposit Bonus will contain. Fill in your email address, mobile number and password. Decide which bonus you want to collect. Only with the Casino bonus you will receive the 50 No Deposit Free Spins. The Live Casino bonus will earn you the €10,- no deposit bonus. Click the ‘’Next step’’ button to continue. Complete the registration form by filling in some more personal details. Also make sure you fill in the validation code LeoVegas has send to your phone (text message). Agree to the terms and conditions and click ‘’Open account’’ to finish your account. Open Starburst, Twin Spin, Mega Fortune Dreams, Dazzle Me or Guns N’ Roses to play your No Deposit Free Spins. Or open the Live Casino to play your €10,- No Deposit Bonus. Have fun and good luck with your LeoVegas No Deposit Bonus. When you enjoyed the casino and your free spins you can make a first deposit to collect even more free spins and bonus money. Below we will explain how the LeoVegas Deposit Bonus works. At the moment LeoVegas offers one of the most popular no deposit bonuses on our website. By opening your free account today you can also start playing with 50 Free Spins or a €10,- money bonus. On top of this you will enjoy a great selection of games, one of the best mobile casinos and a wide variety of safe payment options. Because of this you can’t go wrong at LeoVegas Casino! Open your free account on this page to get started right away! Multiple countries restricted from signing up or deposit bonuses. At LeoVegas you can pick one of three welcome offers. One offer is specially designed for Casino players, one for Live Casino players and one for Sports Lovers. When you decide to take the 50 No Deposit Free Spins you will receive a welcome package including up to €1600,- and 300 Free Spins. The other welcome offers include nice bonuses for the live casino or sports. Below we will explain each bonus. Will you be the next millionaire at LeoVegas Casino? A first deposit bonus of 200% up to €200,- + 50 Free Spins. A second deposit offer with a 150% deposit bonus up to €500,-. On top of that you will receive 50 Free Spins. A third deposit bonus including a 100% deposit bonus up to €500,- and 50 Free Spins. A fourth deposit offer including a 50% deposit bonus up to €400,- and a total of 100 Free Spins. Deposit at least €10,- to unlock your deposit bonuses and free spins. Play through at least €5,- of your deposit to activate the free spins bonus! The 50 Free Spins bonus isn’t the only LeoVegas No Deposit Bonus. 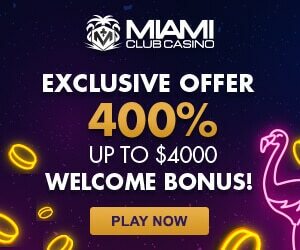 If you like to play in the live casino you can take a different bonus offer. With this bonus you will a receive €10,- free money bonus on sign up. No deposit is required. Besides that you will receive a 100% deposit bonus up to €250,-. For example; When you make a €75,- deposit. LeoVegas will award you with €75,- bonus money. In this scenario you can hit the Live Casino using a total of €150,-. Note that deposits using Skrill and Neteller won’t activate this bonus. When you want to hit the LeoVegas Sports Book you should consider this bonus. With the Sports Book Bonus you can earn a free bet up to €50,-. This is how it works. Make a first bet in the casino. After that, LeoVegas will reward you with another free bet of the same worth. Make a minimum bet of €10,- to unlock this bonus. For example; When you place a €20,- bet on a football match. You will receive a €20,- Free Bet which you can use on any of the available sports. Note that deposits using Skrill and Neteller won’t activate this bonus. Good luck and have fun with this bonus! At LeoVegas you will find a very complete portfolio of casino games. When we look at the range of slot games they offer all popular games by the bigger established game providers. You will probably know most of these including for example NetEnt, Push Gaming, Big Time Gaming, Microgaming, Play’n Go, Thunderkick and Quickspin. All in all LeoVegas doesn’t offer the biggest selection of slot games, but the amount of slots is still very impressive. For the biggest amount of slots I recommend joining Videoslots Casino, which also offers a lot of games by smaller game providers. One thing that is nice about LeoVegas is that they have exclusive slots from time to time. You can play these slots only at LeoVegas for a certain amount of time. On top of this is think LeoVegas is one of the most user friendly casinos for mobile players. In addition to slots LeoVegas also offers a wide variety of table games. This includes all popular game types including Blackjack, Roulette, Baccarat (Punto Banco) and Poker in different varieties. If you enjoy to play table games you can of course also open LeoVegas Live Casino, which offers the biggest selection of live dealer games. The live casino now holds top quality games by Evolution Gaming, NetEnt Live, Authentic Gaming and Extreme Live Gaming. On top of this LeoVegas has its own branded live table games on which they hold unique events and promotions. On top of these more traditional games LeoVegas Casino also offers a variety of other types of games. These can be fruity slots, instant win games, scratch cards and daily and progressive jackpot games. Especially the last category of games is very interesting since top prizes easily exceed 1 million euros! In my opinion LeoVegas is also on of the best mobile casinos. It simply very easy to make deposits, find games and launch them. Because of this the overall gambling experience is very good. In addition to LeoVegas I must say I also like the mobile casinos of Casumo, Dunder and Redbet. But looking at the amount and variety of the available mobile games, I think LeoVegas is the best overall choice. If you have any questions or problems while collecting your LeoVegas no deposit bonus or anything else you can contact the support department straight away. LeoVegas is known for offering quick, professional and top quality customer support. Especially loyal players will receive a red carpet treatment every time they contact the support department with a question. Depending on your preferences you can contact a highly trained support agents through a live chat connection, email or the phone line. The support department is available 24 hours a day, 7 days a week. This means you will be able to speak to a support agent at every moment you want. For more information about the support options, please visit the LeoVegas website! While writing this article I have also joined LeoVegas to try out some of their games and the available promotions. Although I don’t like playing with bonuses that much I claimed the no deposit bonus and played with my 50 Free Spins to test the offer. I decided to play my no deposit free spins on Warlords, one of my favourite NetEnt Slots. Claiming the bonus was very easy, after opening slot I simply got a message saying I got 50 free spins. During my bonus I wasn’t that lucky, and I only won a few euro’s. I used this amount while spinning with a slightly higher stake of Warlords, but I emptied the balance pretty quickly. After playing with the LeoVegas no deposit bonus I decided to make a regular deposit, without a bonus. Why? I don’t like wagering my bonus funds, I want full control over my balance. Using my balance I tried some of the available games including the Book of Dead, Jammin’s Jars and Hot Spin. I unlocked a few feature and managed to double my deposit (€40,- to €80,-). I cashed out €50,- and left €30,- to use later on. My first cashout went pretty quickly, I had the money back in my account the next day. All with all I had a fine experience at LeoVegas! Online gambling should be about fun and entertainment, and because of this LeoVegas is aware of its responsible gambling duties. If you like you can limit your account at any time by using the responsible gambling settings. You can for example limit your daily spending, time spend or you can set up a time out. It is even possible to exclude your account from playing. If you have any question about setting up these limits, please visit the F.A.Q. or contact support. For more information you can also visit the LeoSafePlay website. This is a special platform on which LeoVegas informs player about the possibilities when dealing with addiction problems. If you feel you have issues we also recommend visiting the platforms of GamCare and GambleAware.co.uk. LeoVegas is pretty generous with this no deposit bonus. But there are also other casinos that offer you a no deposit bonus. In the underneath table we have added all active and exclusive no deposit bonuses of the casinos on our website. In the table you will also find a link to the complete casino review. These reviews are written by our casino experts and some real casino players. Tip: try a few casinos with a no deposit bonus before you stick at one or two of them. The play money is free so you have no chance in losing any. Once you have made a choice you can start playing with some real money. I have played at LeoVegas for over a year now and I must say I am really pleased with there service. The game collection is just perfect and always up to date. On top of this the amount of live dealer games is the best around. While playing on mobile LeoVegas is also one of the best choices in my opinion. Can only recommend this casino to everyone.